Conservative commentator and CNN contributor S.E. Cupp will be taking her talents to HLN beginning in June, reports Variety, where she will host a nightly program at 7pm, leading up to Ashleigh Banfield’s Primetime Justice. 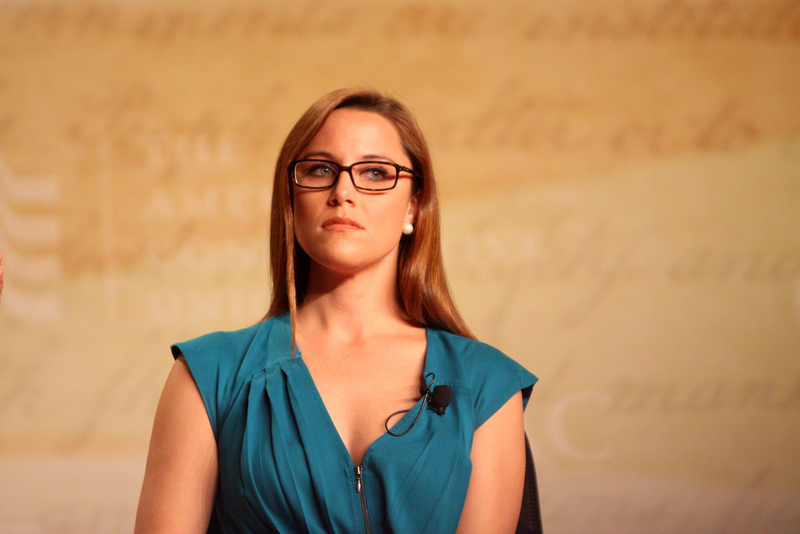 Cupp previously co-hosted Crossfire on CNN alongside Van Jones, Stephanie Cutter, and Newt Gingrich. Her show will instead focus on pop culture, parenting, sports and crime. What a waste of S. E.’s political and journalistic skills; talking about crime and pop culture? What could be more repetitive and boring? I’m sure she will do a wonderful job of whatever she decides to do, but using a person that GOT UNDER TRUMP’S SKIN for a mamby-pamby woman’s show?